A major new public awareness campaign is offering parents the chance to 'START' their kids on the way to a healthier and happier lifestyle. A multi-agency grouping of safefood, the Department of Health and the Public Health Agency has launched the START campaign to develop a fresh approach to tackling obesity. With a quarter of children in Northern Ireland aged 2-15 years reported recently as being overweight (17%) or obese (8%), it is one of the main public health issues facing the next generation. 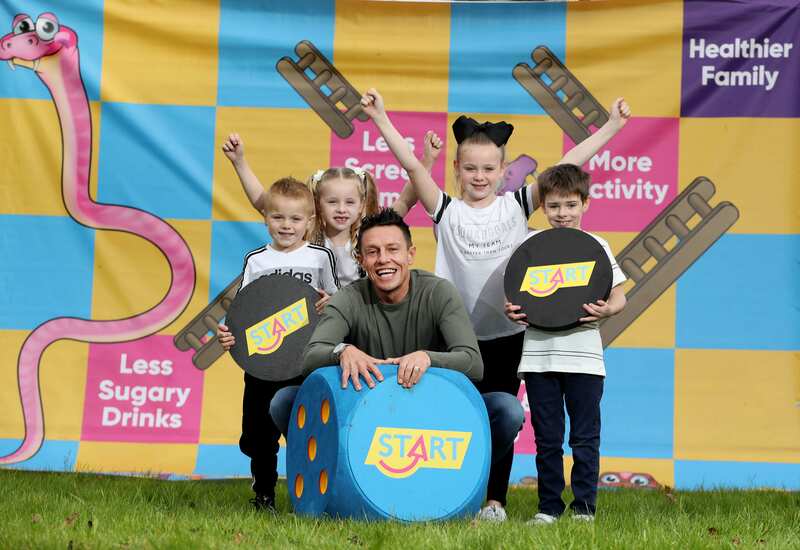 The START campaign has been developed with the input of parents, health professionals and community educators to take a realistic approach to the problem and to recognise that small steps can add up to a big result. It tries to help families to take the first step towards improving their children's health with one daily win. And then giving support so they can persist with the challenge when time pressures and environment make it difficult. Chief Medical Officer for Northern Ireland, Dr Michael McBride, said: “Unhealthy lifestyle behaviours have become commonplace in our society and these are impacting negatively on our children’s health. The campaign website (www.makeastart.org) is packed with helpful tips, advice and recipes which are designed to help parents fend off junk food, curb screen time and get their kids to exercise more as they aim for that one daily win which can lead to a healthier lifestyle. Pick a good time to start. Decide on what you want to start doing, let everyone know and stick with your start date. Make changes together. Children are more successful at making changes when the whole family do it together. Parenting is tough, but you are tougher. Set the routine and house rules around food, screen time, etc. Get family, friends and carers on board. Tell other adults what you want them to encourage your children to do. Be consistent and stick with it. If you persist with the same approach you will see the benefits over time. Get your kids involved to help them feel part of it all. It will make them feel important and make them want to succeed in making those changes.